Danish freight company DSV has launched a bid to buy Swiss rival Panalpina for around CHF4bn (US$4.1bn). Panalpina said on Wednesday it had received an unsolicited, non-binding proposal from DSV to acquire the company for CHF170 per share, a 24 per cent premium to Tuesday’s closing price, made up of cash and DSV shares. Despite stating recently that it wish to remain independent, Panalpina’s board said it would consider the proposal. 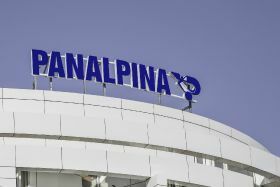 One of Panalpina’s activist investors, Cevian Capital, which owns 12.3 per cent of the freight company, said last year it wanted the company to be open for a takeover, citing challenges in ocean freight, falling business with the oil and gas industry, delays in the implementation of a new IT system and sluggish growth. DSV said a deal with Panalpina would create “a leading global transport and logistics company with significant growth opportunities and potential for value creation”. The combined business would generate expected revenues of more than DKK110bn (US$16.8bn) and EBITDA of more than DKK7bn (US$1bn) on a pro-forma 2018 basis, excluding any synergy benefits. The offer is DSV’s second attempt in just a few months to make a major acquisition in the freight transportation market, after a failed bid for Swiss group Ceva Logistics.